WASHINGTON, DC, February 14, 2013 (ENS) – The U.S. Government Accountability Office has added two new areas to the agency’s High Risk List – limiting the government’s fiscal exposure by better managing climate change risks and closing gaps in weather satellite data. The GAO is an independent, nonpartisan agency that works for Congress. Often called the “congressional watchdog,” GAO investigates how the federal government spends taxpayer dollars. Every two years at the start of a new Congress, GAO calls attention to agencies and program areas that are high risk due to their vulnerabilities to fraud, waste, abuse, and mismanagement, or are most in need of transformation. Two other areas – management of interagency contracting and IRS business systems modernization – were removed from the GAO High Risk List because of sufficient progress in addressing past vulnerabilities. 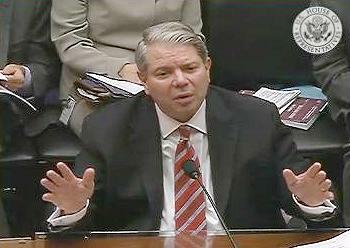 Gene Dodaro, comptroller general of the United States and head of the Government Accountability Office, today released the 2013 list (GAO-13-283) at a bipartisan briefing on Capitol Hill with leaders of the Senate Homeland Security and Governmental Affairs Committee and the House Oversight and Government Reform Committee. We and others – including an independent review team reporting to the Department of Commerce and the department’s Inspector General – have raised concerns that problems and delays on environmental satellite acquisition programs will result in gaps in the continuity of critical satellite data used in weather forecasts and warnings. The importance of such data was recently highlighted by the advance warnings of the path, timing, and intensity of Superstorm Sandy. Gaps in information from weather satellites could compound climate change challenges and make responses to extreme weather conditions inadequate, Dodaro told the House committee. These satellites cross the equator in the early morning, midmorning, and early afternoon to obtain regular updates throughout the day. 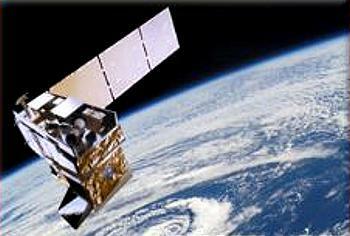 The U.S. government also relies on data from a European satellite program. To save money, a May 1994 Presidential Decision Directive issued by President Bill Clinton required NOAA and the Defense Department to converge their two programs into a single new satellite acquisition, which became the National Polar-orbiting Operational Environmental Satellite System (NPOESS), Dodaro told the lawmakers. But NPOESS encountered technical challenges in sensor development and experienced program cost growth and schedule delays, in part due to problems in the program’s management structure, Dodaro said. “After several restructurings and recurring challenges, in February 2010, the Executive Office of the President’s Office of Science and Technology Policy announced that NOAA and DOD would no longer jointly procure NPOESS; instead, each agency would plan and acquire its own satellite system,” Dodaro said. Dodaro went on to detail the gaps in data flow that are expected to result as each agency procures and launches its satellites and configures ground-based equipment to receive data from them. NOAA initiated its replacement program, the Joint Polar Satellite System, JPSS, with a demonstration satellite launched in October 2011. The other system components are: two satellites, with at least five instruments planned for each, to be launched by March 2017 and December 2022; two stand-alone satellites to accommodate three additional instruments; and ground systems for the entire program. The program is currently estimated to cost $12.9 billion,” Dodaro said. He cited National Weather Service studies showing that if there were no polar satellite data in the afternoon orbit, its forecasts for the ‘Snowmaggedon’ winter storm that hit the Mid-Atlantic coast in February 2010 would have predicted a less intense storm further east, with about half of the precipitation at 3, 4, and 5 days before the event. “Specifically, the models would have under-forecasted the amount of snow by at least 10 inches,” he said. There are other items in the Natural Resources and Environment section of the GAO’s 2013 High Risk List – Management of Federal Oil and Gas Resources and Transforming EPA’s Process for Assessing and Controlling Toxic Chemicals. Progress has been made in at least one of those areas, Dodaro said.